The National Secretariat Meeting was convened at the Novotel Hotel at Pangkal Pinang, Indonesia on 26th September 2017. The Meeting was chaired by Hon. Netty Muharni, Assistant Deputy Minister for Regional and Sub-Regional Economic Cooperation. The Meeting was attended by Hon. Mr. Mothi Sk. Kothandabhany, Director Regional Development Section, Economic Planning Unit, Prime Minister’s Department, and Hon. Dr. Piyanuch Wuttisorn, Senior Advisor, National Economic and Social Development (NESDB). The Meeting was also attended by from Asian Development Bank (ADB) and the Centre for IMT-GT Sub regional Cooperation (CIMT). The Meeting aims to deliberate on matters concerning relevant presentations and agendas of the upcoming Senior Officials Meeting (SOM), Chief Ministers Governors Forum (CMGF), Ministerial Retreat and Ministerial Meeting (MM). Upon the adoption of IMT-GT Vision 2036 (Vision 2036) and IMT-GT Implementation Blueprint 2017-2021 (IB 2017-2021) as a new roadmap for IMT-GT achieving the main goals of the cooperation. Following-up with Vision and IB, the National Secretariats together with Centre for Indonesia, Malaysia, Thailand Subregional Cooperation (CIMT) and Asian Development Bank (ADB) have worked further for more detail action plans, setting-up of the mechanism for implementation, monitoring and evaluation. As there are many works to hands-on, the team mutually seeks guidance from our Senior Officials and Ministers for better implementing of the Vision and IB and to develop more concrete projects. 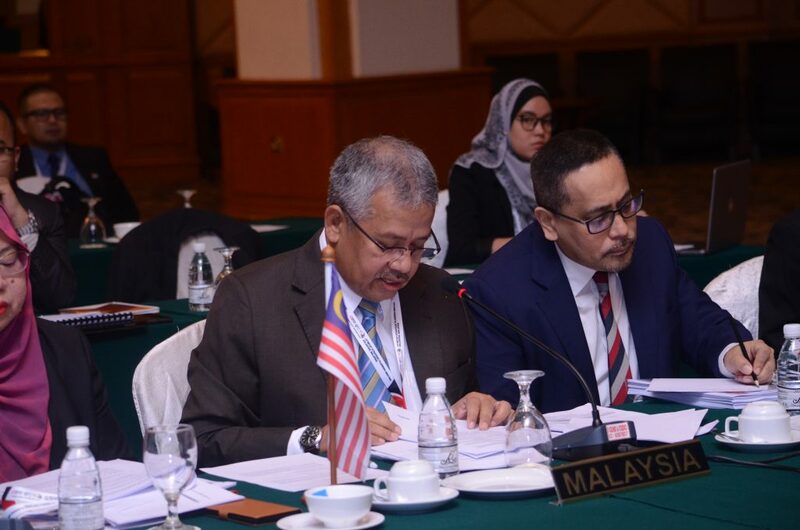 The Meeting aims to preparing a series of the 23rd IMT-GT Ministerial Meeting and Related Meetings. From the last NS Meeting in Jakarta, followed by some intersessional discussions among us, we have agreed on the outcomes of the meetings and have come up with several report drafts, which hopefully could be finalized today for approval by our senior officials.